Classic details like built-in bookcases can add an abundance of character to home, making a boring boxy house look like a 19th-century charmer. Carpenter's fees to create built-in bookshelves can really break the bank. Luckily, there are other options for creating built-in bookcases. IKEA offers a variety of bookshelf options at very reasonable prices and in a wealth of finish options, and with a little elbow grease you can make that pre-fabricated IKEA bookcase look like it was custom-built especially for your home. Identify the place in your home that you wish to place the bookcase. Some things to consider are the size and shape of a room, the amount of wall space, and the amount of traffic the area receives. You may also want to think about elements like moisture (too much can make MDF bookcases warp) and sunlight, which can damage books. Measure the location you have chosen for your bookcase. Be sure to measure not only the height and width of the area, but also the depth of the space. Remember that you will need adequate space in front of the bookshelf to access the items you have placed on it. 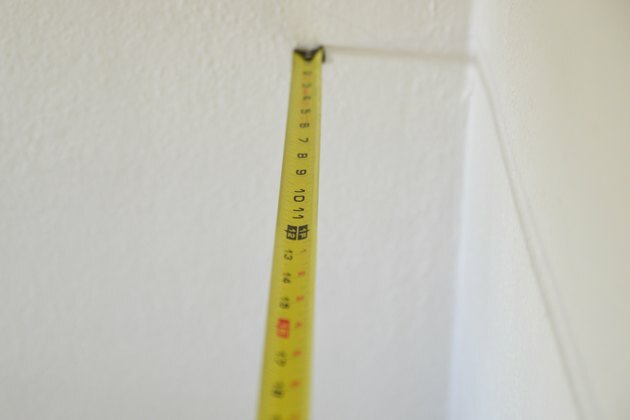 Be sure to include the trim measurements in your list of dimensions if you wish to finish off your bookcase with crown molding, toe kicks or other detailing. Select the IKEA bookcase system that will best suit your needs. 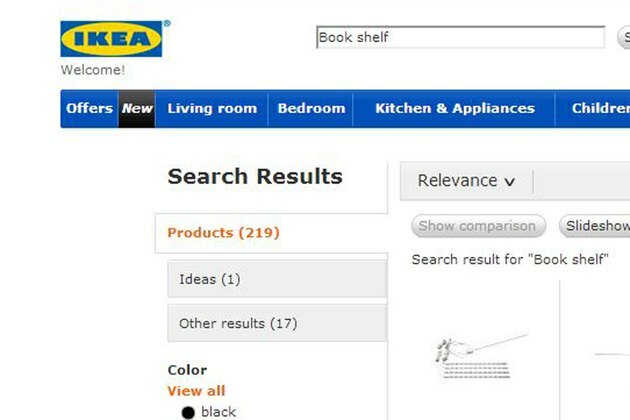 IKEA offers a range of bookcase system options. BILLY is one of the most popular for customizing because it offers so many options as far as sizes and extensions. BILLY is also very reasonably priced - a 79 inch tall bookcase costs around sixty dollars. The BESTA series focuses on television and media storage, and might be best for your needs if you plan to use your built-in bookcases as an entertainment unit. EXPEDIT is a basic storage series that coordinates with IKEA's LACK series. 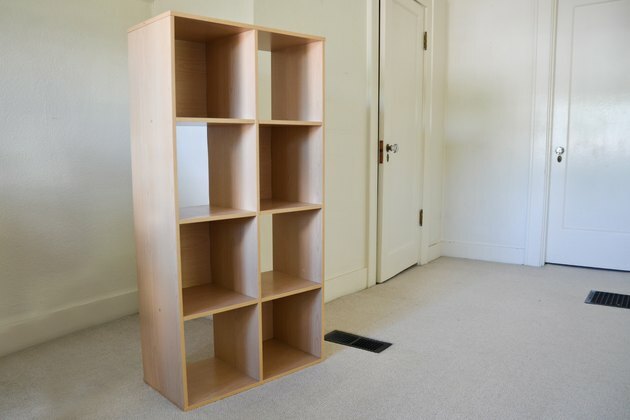 EXPEDIT has the contemporary look of square shelving. Assemble your bookcase according to IKEA's instructions. Affix your bookcase to the wall using your electric screwdriver and wall anchors or L-brackets. For best results, use L-brackets and install each one in a wall stud. One end of the bracket is attached to the bookshelf, the other to the wall. 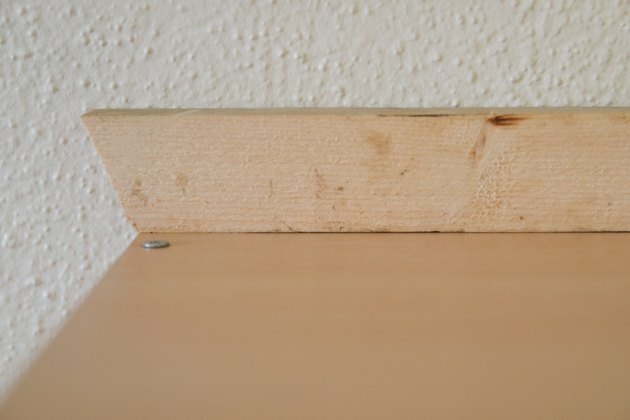 The number of L-brackets required depends on the width of your bookcase, but to be safe you can install one into each stud. 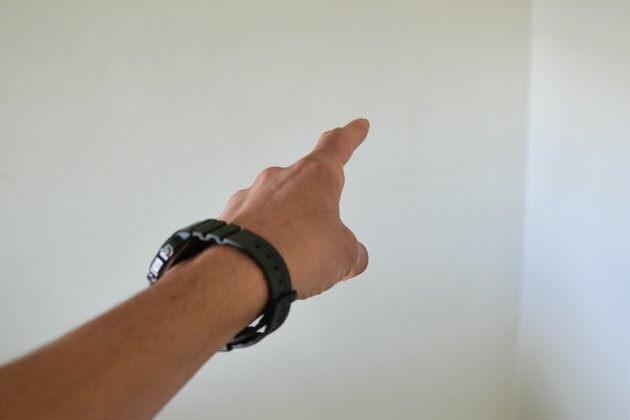 Use your stud finder to locate your studs, which are usually every 18 inches. If you are installing anchors, drill a hole slightly smaller than the anchor's diameter in the wall. Tap the anchor into the hole with a hammer, being careful not to bend the anchor. Screw your L-brackets into the anchors. Attach any extensions you selected to the top or side of your bookcase. Use pieces of MDF as "filler" to take up a small amount of space between the bookcase and the trim or wall. Measure the space you need filled, then cut the MDF to size with a saw. Nail the pieces in place. Cut the crown molding or other trimwork to fit the top and bottom of the bookcase using the miter saw. Miters are usually cut at 45 degree angles. The molding edges should lie flat against the ceiling and bookcase. Cut the corners with a miter saw so they lie flat. 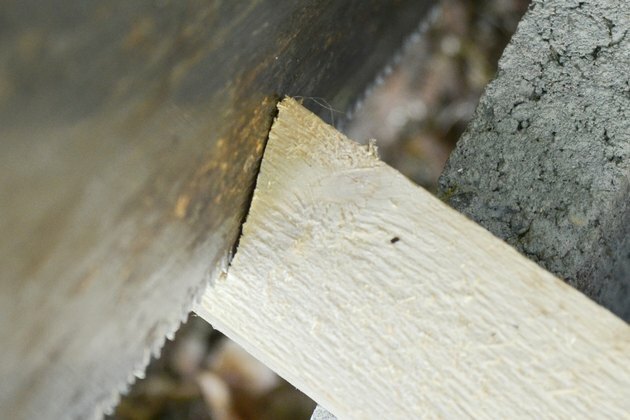 To create standard corners, cut both halves of the joint at 45 degrees with the miter saw. 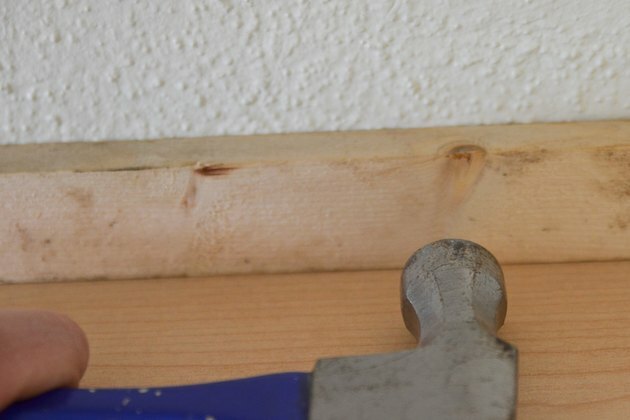 If you prefer "professional" inside corners, cut one half of each inside corner with a straight cut and complete the other half using a miter cut, then trim to fit using a coping saw. Install the trimwork using your hammer and nails. Crown molding wraps around the top, toe kicks or baseboard wrap around the bottom. Install nails with your hammer about every 6 inches. 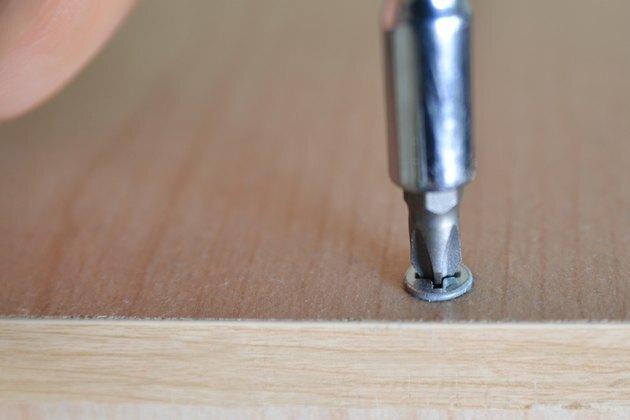 Fill any holes from the assembly of the bookcase or trim installation using wood filler or putty. 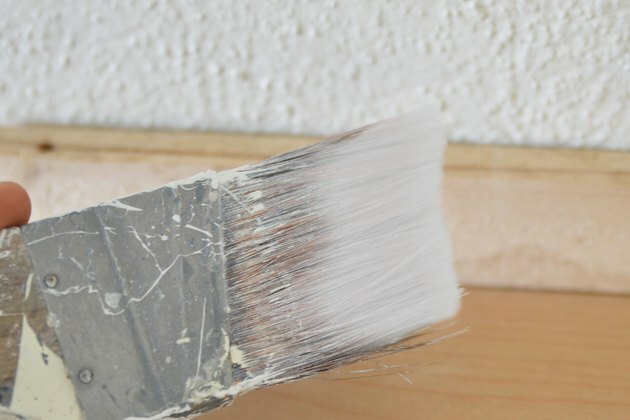 Apply wood putty with a putty knife. 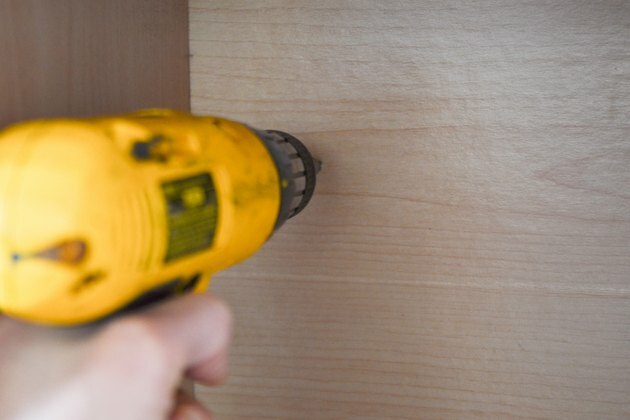 This will conceal unsightly nail holes and help make the bookcases appear custom-built rather than pre-fabricated. Allow putty-style wood filler to dry for about 2 hours before proceeding. Sand the entire bookcase using sandpaper. Be careful not to apply too much pressure or you could damage the surface of the bookshelf. 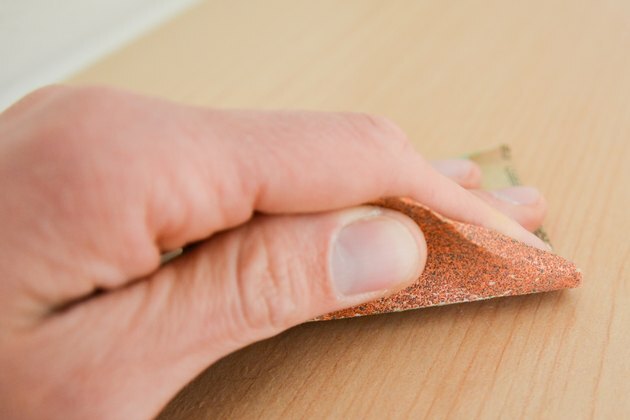 Since many IKEA bookcases are made of MDF, stick with fine sandpaper of 100 or 120 grit. Prime and paint your bookshelf using several coats of paint. Brushes work best on furniture surfaces. The drying time between coats will vary depending on what type of paint you have selected, and will be indicated on the label of your paint can. Amanda Lynch has been writing professionally for print and online publications since 2000. With a master's degree in health communication, her background includes patient counseling, community health and script development. Lynch specializes in covering topics related to health and wellness, women's issues and parenting.